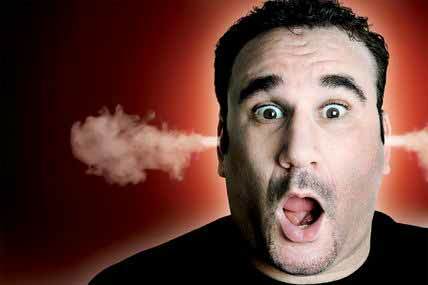 Mike Matusow is the ‘bad boy’ of poker and the poker world loves him for it. This status also means he is one of the most followed professionals on the tour, with both the fans and the TV cameras interested in his every move. Mike has earned the nickname ‘The Mouth’ due to his loud personality and the fact that he will always be the one talking and voicing his opinion at the poker table. Controversy has never been far away from Mike who has spent time in Prison after getting involved in Drugs in what he describes as the darkest period of his life. 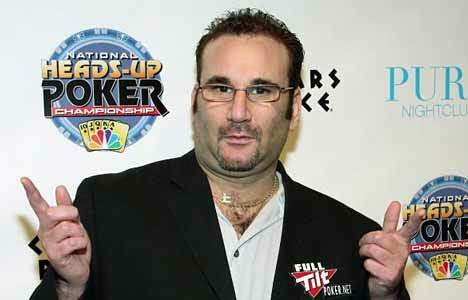 Mike Matusow was born in 1968 in Los Angeles California and now resides in Henderson, Las Vegas, Nevada. While Matusow was growing up it was this same personality and talkative nature that got him into trouble and he spent a lot of his childhood days as a target for the bullies. This didn’t change Mike at all however and he continued to voice his opinion regardless of what trouble came his way. Matusow left school as soon as he could and didn’t go onto College. He started off as a trainee mechanic but failed to apply himself to the academic side and eventually he ended up with a job in his family’s furniture business. Mike first took to gambling at the age of 18 and he very quickly became a gambling addict stealing money from his parents in order to play all day long on the Video Poker machines and he went on to attend Gamblers Anonymous meetings as a result of his addiction. A chance meeting with a regular poker player Steve Samaroff introduced Mike to Poker. Samaroff taught him how to play Texas Holdem in 1989 as it was emerging as the game of choice in the poker world. He became a card dealer and went on to gather a bucket load of strategy tips from watching people play whilst he dealt in Las Vegas. He started to dabble in poker by taking part in late night games at Sam’s Town Casino in Las Vegas and he soon came to the realisation that he was good and could earn a regular income from poker. At this point he packed in the dealing and became a full time poker player. Agonisingly for Mike he missed out on his first World Series of Poker bracelet in 1997 when he finished 2nd in the Omaha Hi/Lo event losing out to Scotty Nguyen. Two years later he made up for it when he sealed his first WSOP bracelet in the $3,500 No Limit Holdem event and went on to win a second bracelet in 2002 in the $5,000 Omaha Hi/Lo event. He had a good run in the 2004 Main Event but infamously was knocked out by Greg Raymer who would go on to win the event. Mike again made great TV time here with an ongoing altercation with Raymer and their battle will forever be in the TV poker hall of fame. In 2005 Matusow came heartbreakingly close to his dream and finished 9th out of nearly 7,000 entrants in the WSOP Main Event picking up over $1million for his final table finish. It was clear to the whole world how much this meant to Mike as he broke down in tears when he was knocked out. Soon after this Mike made history by becoming the first player to cash out $1million+ from two separate events in the same year. He achieved this by winning the WSOP tournament of Champions and beating Phil Helmuth in the process. In 2007 Mike continued his successful career with a second place finish at the prestigious World Poker Tour Bellagio Cup collecting $671,320. Also ‘The Mouth’ had a good 2007 WSOP with three top 20 finishes and a total cash of over $125,000. Matusow has had dark periods in his life, and he describes his darkest period being between 2004 and 2005. For the previous years Mike had battled with Drug issues and led a party lifestyle with lots of drugs, parties and women. This culminated in Matusow being setup by the Las Vegas Police in a Sting operation where he was duped into selling Ecstasy and prescription painkillers to an undercover police officer who had befriended him. Matusow was charged and went to Clark County Jail for 6 months. Hearing Mike’s side of the story he tells how much he regrets his actions during this period and that he had been charged for acting as the middle man for a friend who was buying drugs for personal use. His release from Jail in April 2004 proved to be a turning point for Mike, who went on to turn his life around, move away from the drugs and concentrate on his poker career. He made a promise to himself to work hard on his poker game and had set himself a goal to win the WSOP Main Event. In the 2005 World Series of Poker, as a new man, Matusow went on to make the final table of the World Series of Poker Main event, which started with a field of 5,619 players. He went on to finish 9th with a $1million prize. Although he was disappointed with this, it was a massive achievement especially after what he had been through. Mike has gone on to tell his story of this dark period in his life in his autobiography called “Check Raising the Devil” which is an absolutely fascinating read about a gamblers lifestyle and the pitfalls that can so easily be fallen into. This is mixed in with the highs of his poker success. Matusow has also battled with weight problems and entered into a prop bet with fellow poker player Ted Forrest that he could lose weight and reduce from 250 pounds to 181 pounds. He won this bet and took $100,000 from Forrest. However a few years later the bet was reversed and Forrest had to reduce his weight from 188 pounds to under 140 pounds. This time the bet was much larger for $2million and Forrest smashed it and took Matusow for a fortune. Matusow’s wild life has been featured in the press numerous times, but he is a real live fire in the poker community and entertaining to follow and that’s why fans stick by him. Mike Matusow was an original member of Team Full Tilt Poker and his popularity amongst fans and high profile TV time made him one of the most followed members of the team. “The Mouth” is no longer sponsored by Full Tilt Poker but he continues to play online poker on the site whenever he can. If you see this avatar on Full Tilt Poker then you are playing with Mike Matusow! Just because he is behind a computer screen doesn’t stop ‘The Mouth’ from berating and joking with his opponents when he is playing at the Full Tilt tables and he will always join in with the banter going on with the large number of spectators that rail him at the tables he is playing at. 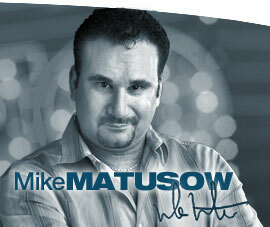 Want to Chat and Play Poker with Mike Matusow?